Hi, I was wondering what others' thoughts were on quantity (total time) versus quality (% of deep+REM sleep). 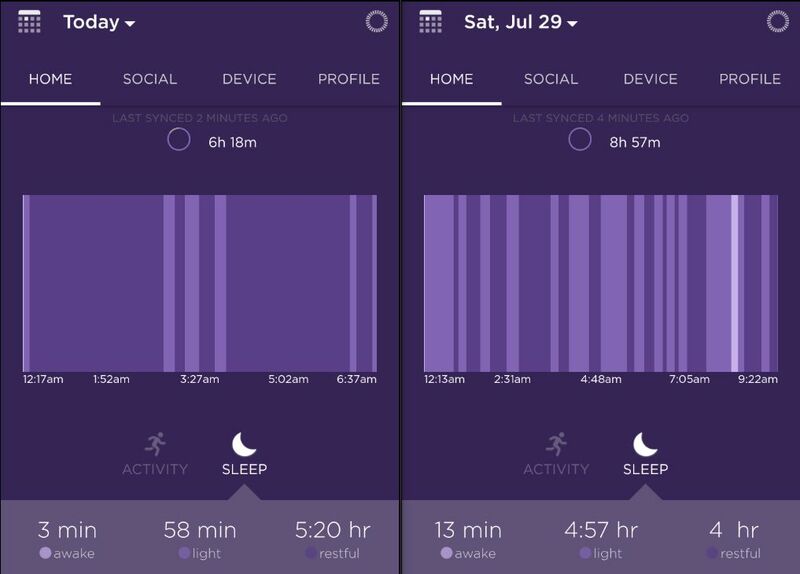 I've been using a Misfit Ray tracker for several months now and it's quite accurate (admittedly anecdotal) when it comes to measurement of light and deep (including REM) sleep phases. One thing I have observed is that my percentage of deep sleep typically goes down the longer I sleep... beyond 7 hours or so. It's a mystery to me why this is. I suppose on some level, when I know I'll get up earlier, I tend to sleep better. Conversely, when I don't have a particular wake up time, such as many weekends, I am more restless. I will add that, as a professional in my 40s, I have a fair amount of stressors going on. But, I train for triathlons which results an a ton of cardio exercise, a very effective counter to mental stress. I've also found that Magnesium supplementation helps sleep quality. Of these, I feel far better after 6h18m of high quality sleep, following some initial grogginess. I am mentally sharp and physically refreshed. So I am thinking that above some threshold, say 6 hrs (for me), quality trumps quantity. 7 hours of sleep seems to be my sweet spot based on months of data. Your brain keeps track of how much deep sleep (and REM sleep) it needs, so if you got restless after 7am, that would be no surprise. Are you sure there aren't other factors on weekends that could affect your sleep (like alcohol consumption)?